And yes, the new NSX was invited. 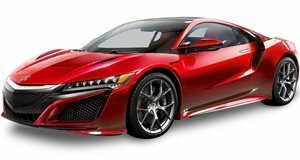 It may sound somewhat hard to believe for some, but the original Acura NSX is currently celebrating its quarter century. A proper party was obviously needed and that’s precisely how it went down. Around 165 NSX owners gathered in Palm Springs, California earlier this month for this year’s NSXPO. Organized by the NSX Club of America, the multi-day event was also the largest ever gathering of NSX enthusiast owners in North America. After all, 2015 marks 25 years since the NSX debuted back in 1990. The mid-engined sports car literally put the likes of Ferrari and Lamborghini on edge; it was possible or a high-performance sports car to have top notch build quality and an interior that didn’t resemble cheap cardboard. Along with F1-derived technology, an aluminum body, a mid-engine setup, and fine tuning done by none other than Ayrton Senna, the NSX has very rightly earned its place in history. As sort of a passing of the torch, the all-new NSX also made an appearance. And yes, plenty of spirited driving was very much involved.